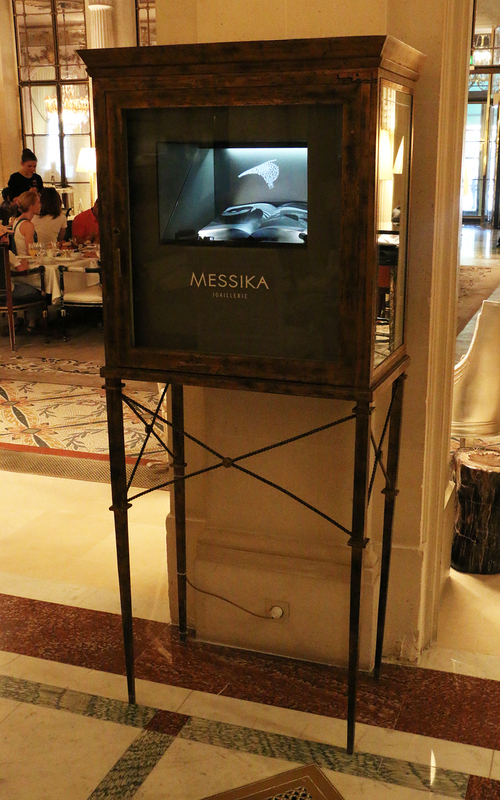 Messika holographic display case at Hotel Le Meurice in Paris. 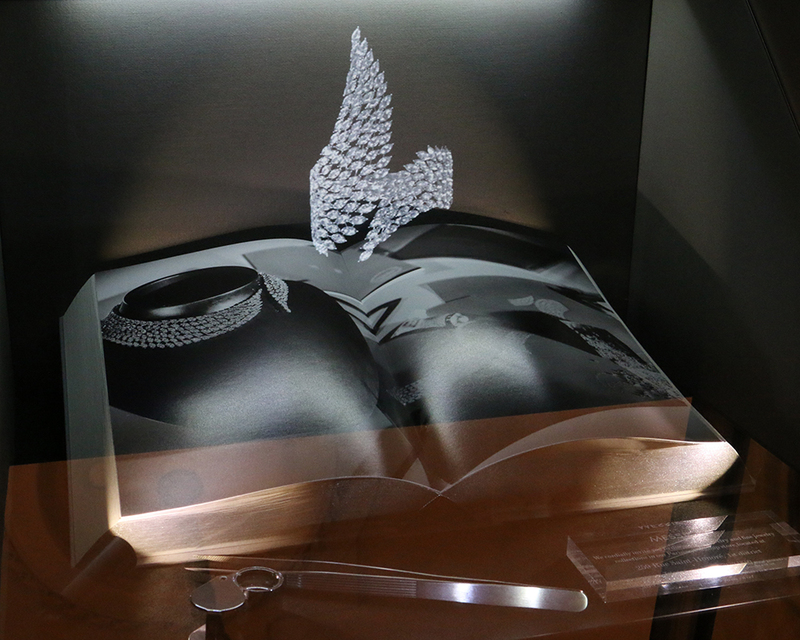 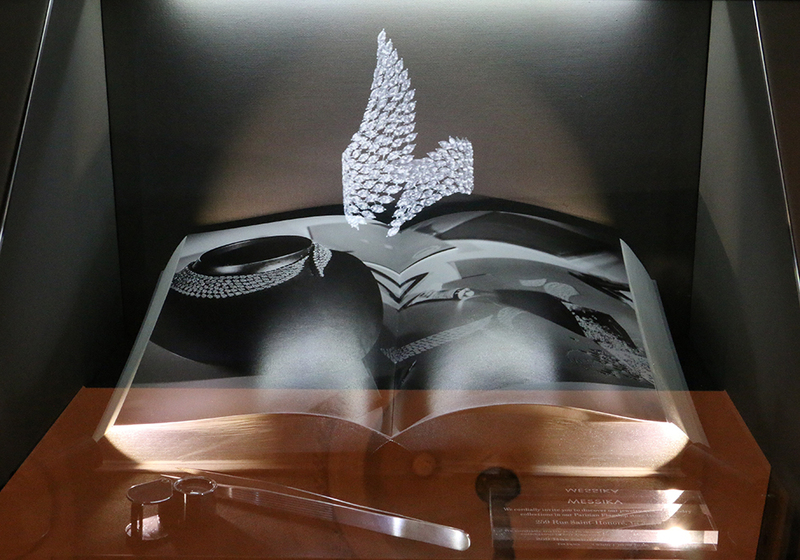 A diamond cuff-bracelet floating in space as if it were levitating above a book. 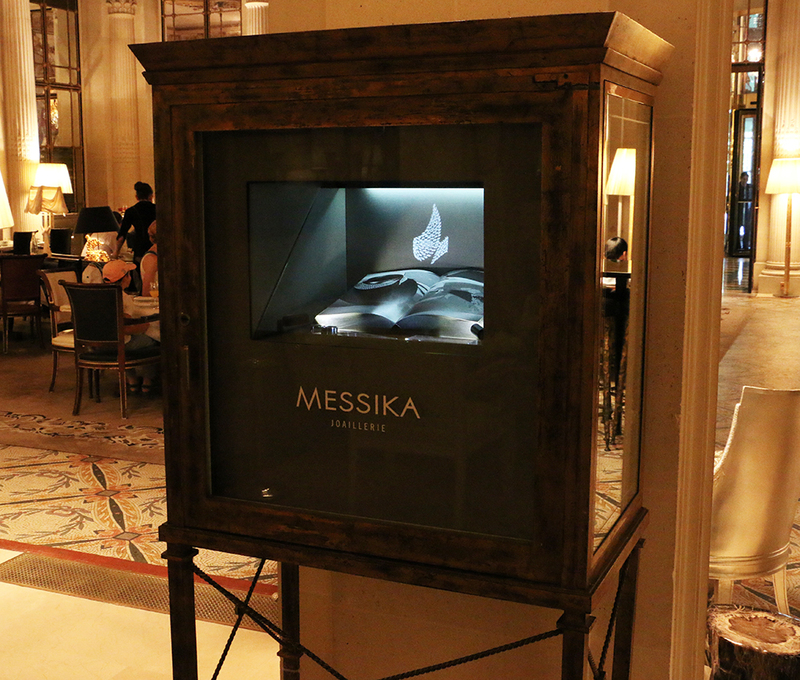 The magic of holography in one of the most attractive hotels in the world.